For Media Releases please click here. Yarnteen became the first Indigenous organisation to develop and launch a Reconciliation Action Plan. Mr John Galligan, Director Corporate Affairs and Citizenship of Microsoft Australia, launched the Yarnteen Reconciliation Action Plan at Yarnteen Head Offices in Newcastle on Tuesday 3 February 2009. Other special guests included Ms Barabra Livesy, CEO of Reconciliation Australia, Mr David Alden, General Manager, Hunter Grain and Ms Kaely Woods, Deputy General Manager Corporate and Partnerships, Indigenous Business Australia. Click here to view media release. With the Rudd government proposing to apologise to members of the stolen generation on the 13th February 2008, Reconciliation Australia has put together FAQs about the issue. Click here for FAQs. 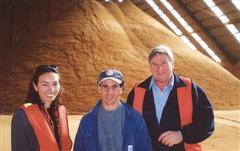 On 15th November 2007, tribute was paid to the industry's champions when the 2nd Australian Bulk Handling Awards were held in Sydney. Over 100 guests attended the Gala Dinner event hosted by the Australian Bulk Handling Review. Port Hunter Commodities (PHC) was established by Yarnteen to assist with employment, training and business opportunities for the Indigenous people of Newcastle. Two awards recognising exemplary service, performance and customer commitment. Port Hunter was successful in winning the Supplier of Year – Small Enterprise which was sponsored by the Australian Bulk Handling Review. 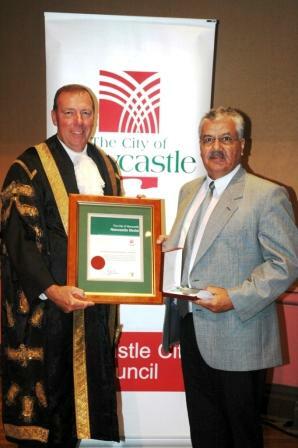 We are pleased to congratulate Awabakal Newcastle Aboriginal Co-operative Ltd's for their recent recognition by the City of Newcastle in being awarded the 'Service to the Community' Silver Medal Award. Awabakal Newcastle Aboriginal Co-operative Ltd is an Aboriginal Community Controlled, Non-Government Organisation. The Co-operative was established under the NSW co-operatives Act, and was first incorporated in 1976. They provide a range of community development services, projects and programs to the Aboriginal Community of the Newcastle, Lake Macquarie and Hunter Regional base. Working cohesively in partnership with some of Newcastle largest service providers, including Hunter New England Health and local Newcastle Police Commands. with the Medal & Award. Microsoft Australia recently held their National Conference for their Community Affairs Program ‘Unlimited Potential’. The "Make Your NetWork" theme included local and international guest speakers to discuss the importance of addressing the digital divide that exists in our society today. It included opportunities for networking and gathering information that can assist with engaging with disadvantaged Australians to increase their opportunities and skills in the benefits of ICT. Yarnteen was included in the list of speakers and utilised the opportunity to launch the release of their Resource Kit “How to Engage with Aboriginal Learners”. If you would like to view or order Yarnteen's Resource Kit click here.